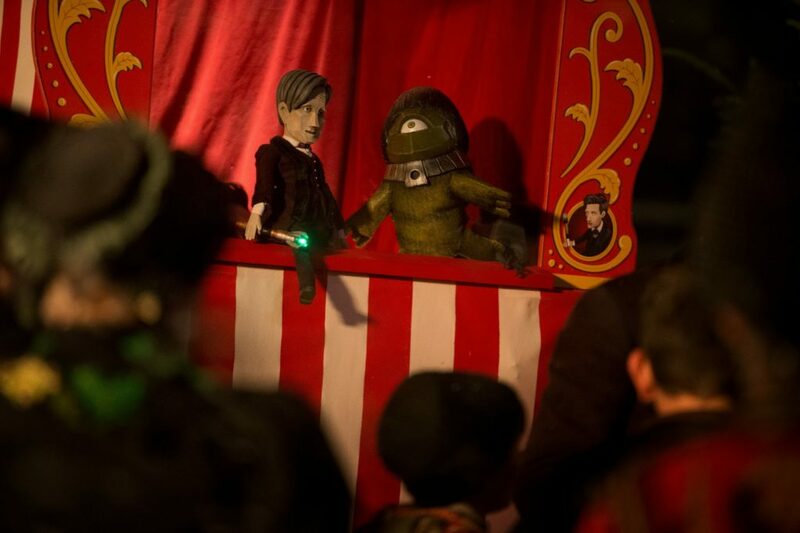 Festive viewing means an increased audience for our favourite shows, which is why Doctor Who has become a staple of Christmas for over a decade now. They give the series bigger exposure, introducing a few million more people to the world(s) of the Doctor. These specials typically bring in around 10 millions viewers, but there are exceptions. So which festive story was watched, on original transmission, by the most viewers? 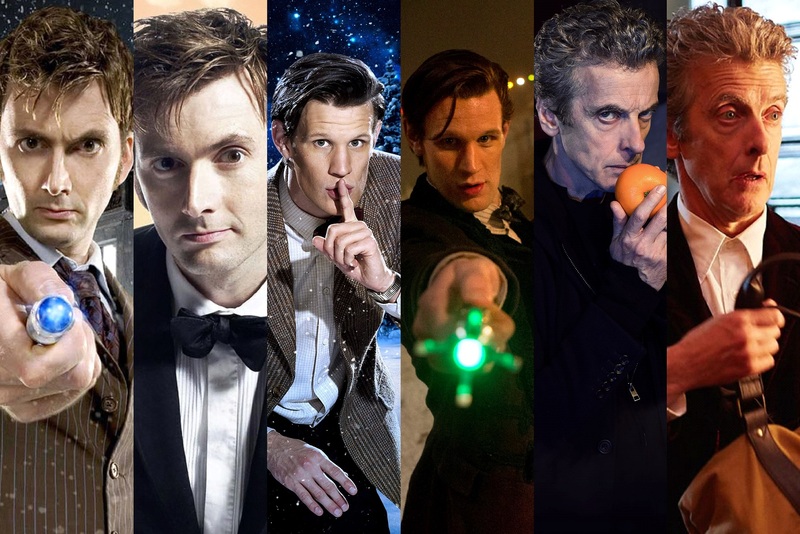 In the running for the crown: The Feast of Steven; The Christmas Invasion; The Runaway Bride; Voyage of the Damned; The Next Doctor; The End of Time: Part One; A Christmas Carol; The Doctor, the Widow, and the Wardrobe; The Snowmen; The Time of the Doctor; Last Christmas; The Husbands of River Song; The Return of Doctor Mysterio; and Twice Upon A Time. The End of Time is a funny one: it’s the sole two-part festive serial, the second episode being aired on New Year’s Day 2010. So while we’re ranking it based solely on Part One, we will mention how that would change if we averaged out ratings for both episodes. We don’t count festive-themed stories like The Unquiet Dead unless they aired on 25th December. We calculate ratings based on the UK final figures, according to the Broadcasters’ Audience Research Board (BARB). iPlayer and repeat figures are included in Live +7 figures (i.e. they need to have been seen within the next week), but we’re not including overseas territories. We do include ratings based on viewings within 28 days of watching, where appropriate (i.e. since they’ve been reported). Doctor Who‘s very first Christmas special, and sadly, the lowest rated – although things would change if we weren’t including the Live +28 figures for a few subsequent festive specials. The Feast of Steven is something of an oddity within its wider serial, The Daleks’ Master Plan: it’s the lowest rated of the 12-part story, which, overall, was seen by an average of 9.35 million. 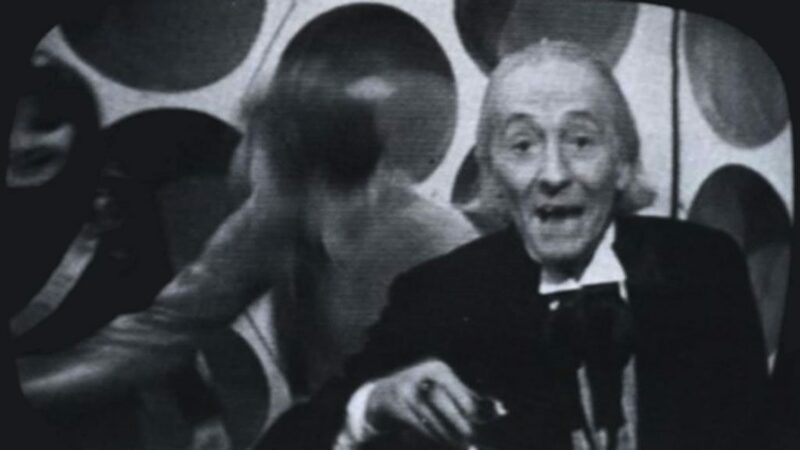 In fact, it’s one of only two episodes of The Daleks’ Master Plan watched by fewer than 9 million people (the other being the finale, Destruction of Time, seen by 8.6 million). The most watched episode of the story, in case you’re wondering, was Episode 3, Devil’s Planet, seen by 10.3 million. The Feast of Steven is probably the least watched episode of Doctor Who: because it’s a Christmas special – largely detached from, and thus unaffected by, the wider narrative – it wasn’t widely sold abroad. When the serial was junked, a fate suffered by many 1960s and 1970s programmes, it meant the 7.9 million people who initially saw transmission are part of a very limited club. We hate to say that the tabloids are right, but… The least watched Christmas special of “New Who” (i.e. 2005- 17) is the 2017 Return of Doctor Mysterio, starring Peter Capaldi as the Twelfth Doctor. Why did this story take such a hit? We can only suppose it’s because it was the only episode of Doctor Who in 2016, so perhaps the casual audience weren’t too bothered. Bizarrely, the two shows bookending it – Strictly Come Dancing and The Great Christmas Bake-Off (back when The Great British Bake-Off was still on the BBC) – achieved higher ratings on the night. And this is key. 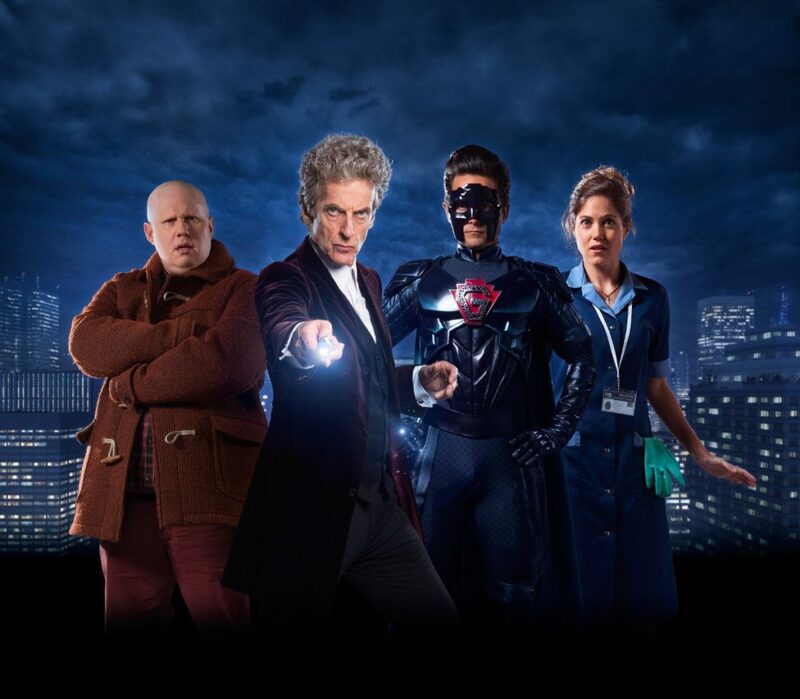 Because The Return of Doctor Mysterio achieved overnight ratings of 5.68 million, an audience share of 27.1%, which rose over 7 days to 7.83 million. It increased to 8.21 million over the next 28 days. To put this in context, Call the Midwife was the most watched show of Christmas week, with 9.21 million tuning in. So actually, Doctor Who did really well. We hate to say that the tabloids are right… so we won’t. TV viewing was down across all channels over Christmas 2016, and our beloved sci-fi show did admirably. BARB reported consolidated figures of 7.69 million, but this rose to 8.27 million for the following week. How does Alex Kingston’s final tale as River Song compare to her first? In 2008, Silence in the Library was seen by 6.27 million, dwarfed by ITV’s final of Britain’s Got Talent (11.52 million), while Forest of the Dead had an audience of 7.84 million. The Name of the Doctor, River’s previous “final” appearance (and which takes place, from River’s point of view, after The Husbands of River Song and Forest of the Dead), was seen by 7.45 million. Peter Capaldi’s final adventure as the Twelfth Doctor has overnights of 5.66 million, trumping ITV’s most-watched show of Christmas Day 2017, Coronation Street (5.07 million). 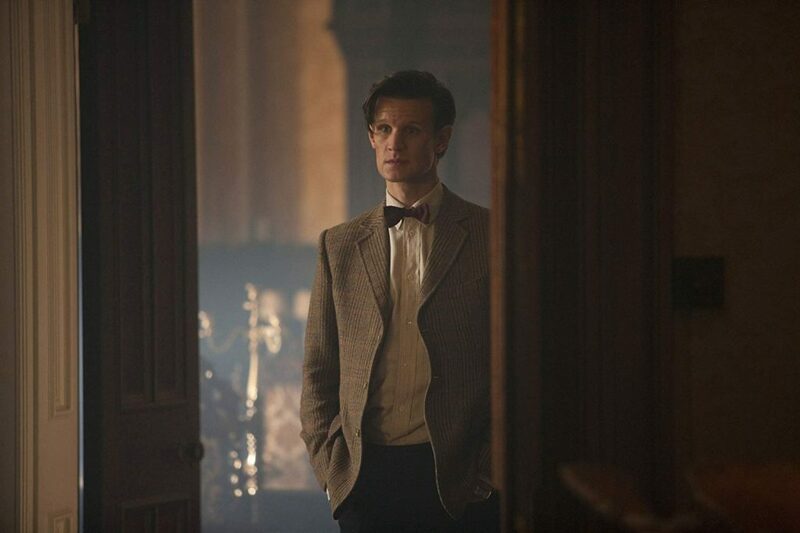 However, 5.90 million switched to BBC1 for the regeneration scene at the end of the serial. 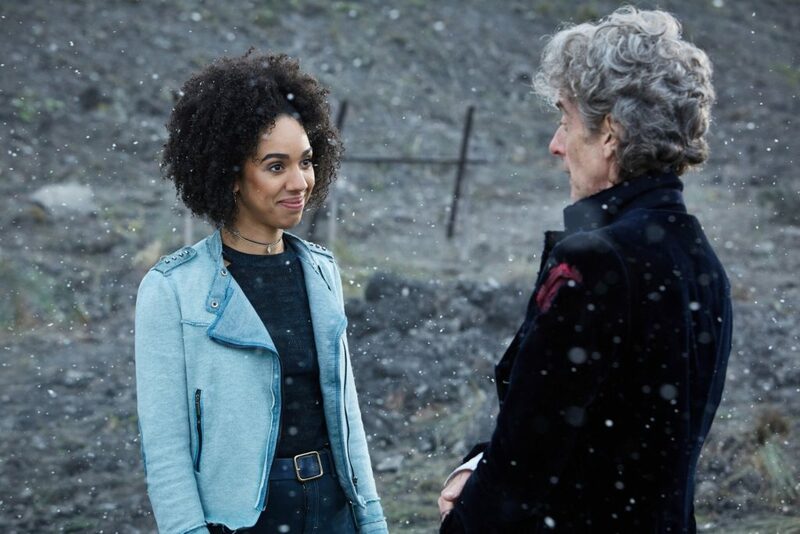 This rose to 7.92 million within 7 days, with a 34% audience share – so festive viewing was down across the board, meaning Doctor Who did well. Over 28 days, this increased to 8.28 million. You’ll see how this compares to the regenerations of Matt Smith and David Tennant; but Capaldi’s regeneration began in World Enough and Time/ The Doctor Falls. Sadly, overnights for World Enough and Time were low – just 3.37 million, though with a 22% share – rising to 5 million. The Doctor Falls reached a similar number: 3.75 million in overnights (25.3%), then 5.3 million in finals. Twice Upon A Time received a considerable step up. There’s quite a leap between Twice Upon A Time and The Runaway Bride: over a million more saw the latter. Still, they’re separated by over a decade and viewing habits have changed considerably. The BBC’s catch-up service, iPlayer, was launched in April 2007, a few months after The Runaway Bride screened; to put this in context, Twice Upon A Time was requested on iPlayer over 1 million times in the fortnight after transmission. 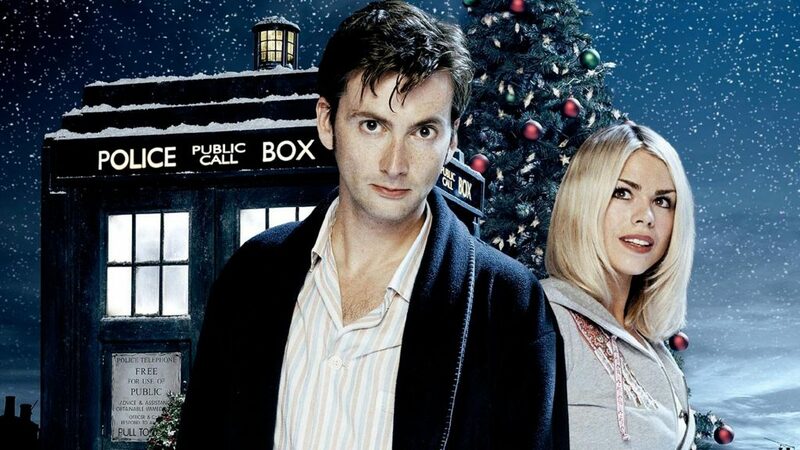 The Runaway Bride is the least-watched Christmas special starring David Tennant’s Tenth Doctor, but was nonetheless the 10th most-watched programme of Christmas week, 2006. It was also the first appearance of Donna Noble (Catherine Tate). Her return for Series 4 boasted similarly high figures: 9.14 million for Partners in Crime, and 9.04 million for The Fires of Pompeii, before settling between 6 and 8 million regularly. Journey’s End saw a massive 10.57 million tuning in, likely due to the publicity generated by the sort-of-regeneration at the closing of The Stolen Earth. Unfortunately, this is the most-watched Christmas special featuring the Twelfth Doctor. In fact, if we discount The Day of the Doctor, which only briefly included “all thirteen”, Last Christmas is the most watched Doctor Who serial with Peter Capaldi. Last Christmas had overnights of 6.34 million, and the 8.28 million figure was widely reported; however, over the next week, its consolidated figure rose to 9.62 million. This was a slight increase on the Live +7 rating for Death in Heaven (8.81 million), its cliffhanger leading into the 2014 special. 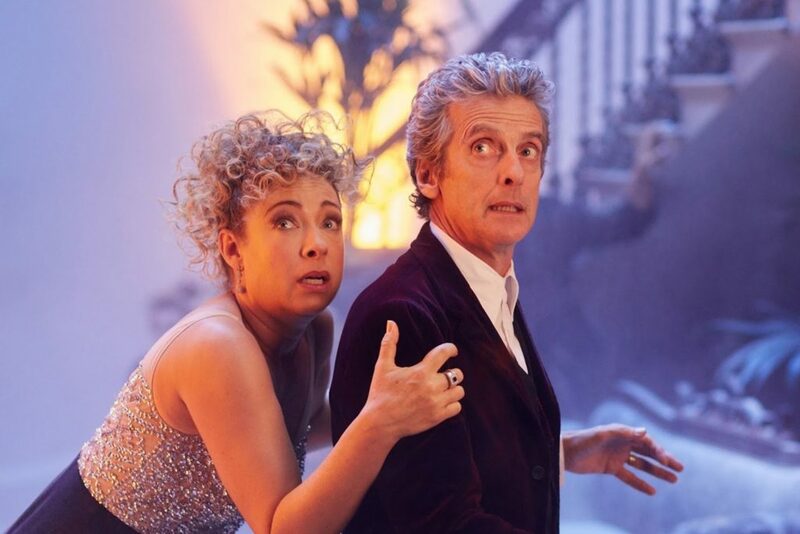 Interestingly, Last Christmas was seen by 2.62 million on BBC America – no, we’re not including those figures, but it’s notable because this made it the most watched episode of “New Who” in the channel’s history. Here’s David Tennant’s first full appearance as the Tenth Doctor, stepping out of that TARDIS and quoting The Lion King. This was, of course, the start of a golden era for the show, in which episodes regularly reached 7-9 million viewers. Still, let’s not forget Christopher Eccleston’s reign as the Ninth Doctor for Series 1: in case you’re wondering, his most-watched episode was Rose (10.81 million); and his least Bad Wolf (6.81 million). The Unquiet Dead, effectively his Christmas special (albeit screened in April 2005), was seen by 8.86 million. This would wedge Unquiet Dead between Twice Upon A Time and The Runaway Bride in this list. 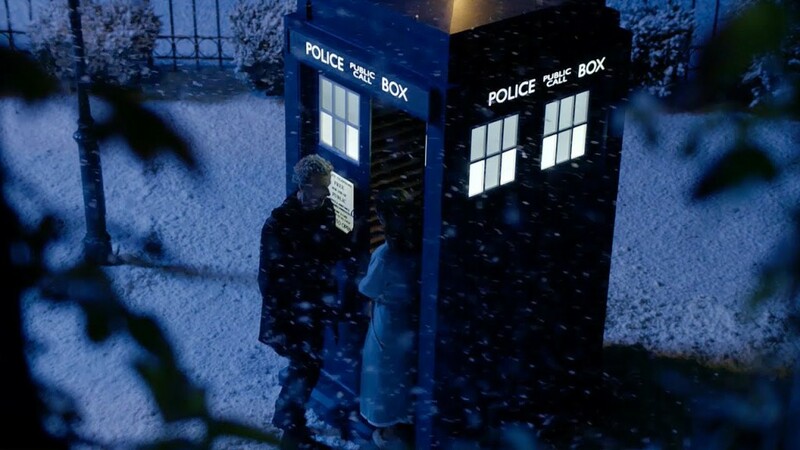 The Parting of the Ways reached 6.91 million, its final scene leading into The Christmas Invasion. 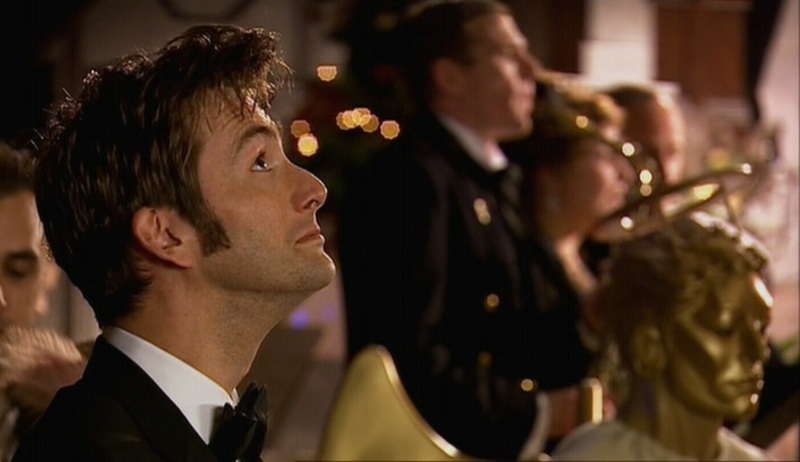 However, there’s also Born Again, that little extra scene specially filmed for Children in Need 2005, in which we first see the Tenth Doctor – manic, and magic, and babbling about Barcelona – talking to Rose Tyler in the TARDIS. This was screened as part of the charity appeal programme between 9pm and 9:15pm, meaning it was seen by about 10.7 million people. Presumably, some of these were tempted enough by the 7-minute scene to check out The Christmas Invasion in full. Matt Smith’s penultimate Christmas serial as the Eleventh Doctor is his least watched festive special, but still pulled in nearly 10 million viewers. You have to wonder whether the episode’s transmission time affected the ratings: beginning at 17:15 on BBC1, this episode has the earliest transmission time for a serial, alongside An Unearthly Child and The Husbands of River Song. Nonetheless, it was the fourth most-watched show of Christmas Day 2012. The festive period offers a good jumping-on point for new or lapsed viewers, and while The Snowmen provides this (especially with the series’ 50th anniversary year just a week away), it’s linked to a number of other tales. 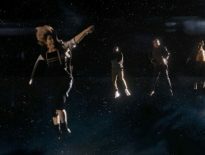 Notably, Clara Oswald first appeared in Asylum of the Daleks (watched by 8.33 million) as Oswin Oswald; the Doctor is still reeling from the loss of Amy Pond and Rory Williams from The Angels Take Manhattan (7.82 million); and we see the return of Vastra, Jenny, and Strax from A Good Man Goes To War (7.51 million). Rewind to the previous year, and we have this loose riff off C.S. Lewis’ The Lion, the Witch, and the Wardrobe – and finally, our list has broken the 10 million barrier! Shedding Amy and Rory for much of the episode, this is another good jumping-on point for new viewers, and indeed attracted a considerable 34.2% audience share in overnight figures. These overnights also gave a rough figure of 8.92 million viewers, rising to 10.77 million for its final figure. This makes it the third most-watched show of Christmas Day 2011. We’d have a long wait until the next episode aired: Asylum of the Daleks screened on 1st September 2012; still, going from 10.77 million to 8.33 million isn’t a massive drop, considering the number who typically tune in over the festivities. The story involves the harvesting of Androzani trees, the greatest fuel source ever. Long-term fans will know the name from The Caves of Androzani, Peter Davison’s final serial as the Fifth Doctor: its four episodes were watched by an average of 7.27 million (6.9m/ 6.6m/ 7.8m/ 7.8m). Speaking of regeneration tales, this is Matt Smith’s swansong, and his second-most-watched Christmas special. In fact, if it weren’t for The Day of the Doctor, this would be the Eleventh Doctor’s second-most-watched story, period. The Time of the Doctor could’ve been affected by its transmission time; juxtaposed with The Snowmen, the previous year’s special, this story has the latest transmission time, beginning on BBC1 at 19:30. Oh, and The Time of the Doctor was the 800th episode of Doctor Who. Initial overnights suggested 8.3 million had watched the story, peaking at 10.2 million for the final regeneration scene. 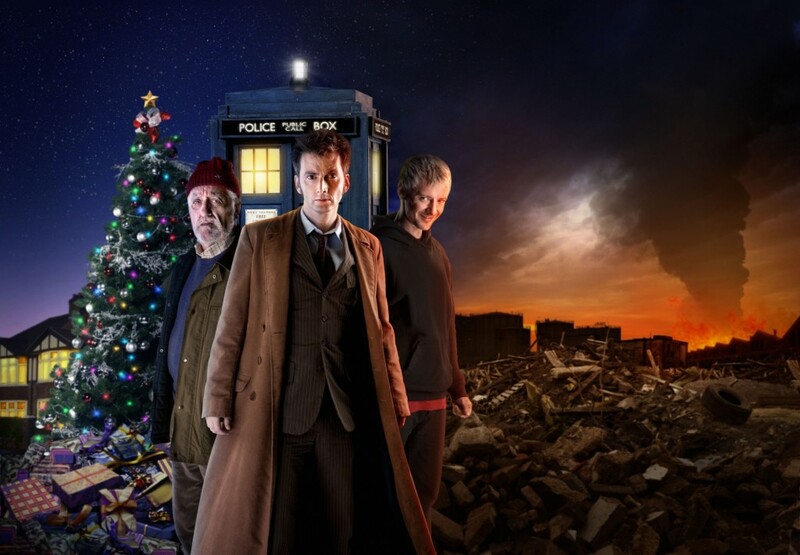 This, incredibly, made it the second most-watched show of Christmas Day 2013, marginally beaten by Coronation Street – on average, at least, because the aforementioned 10.2 million gave Doctor Who the largest peak of the day. The final figure went up to 11.14 million, including those who recorded the story and watched within 7 days. We’re sticking to UK figures on the whole, but it’s worth mentioning that The Time of the Doctor was seen by 2.47 million on BBC America – the highest ever audience figures for the channel. The record for BBC America had previously been set on 23rd November 2013, by The Day of the Doctor. Time might come in as the 5th highest-rated Doctor Who Christmas special, but it’s an absolute triumph. Love from Gallifrey, boys! With David Tennant’s final story as the Tenth Doctor, things get trickier. But only slightly. 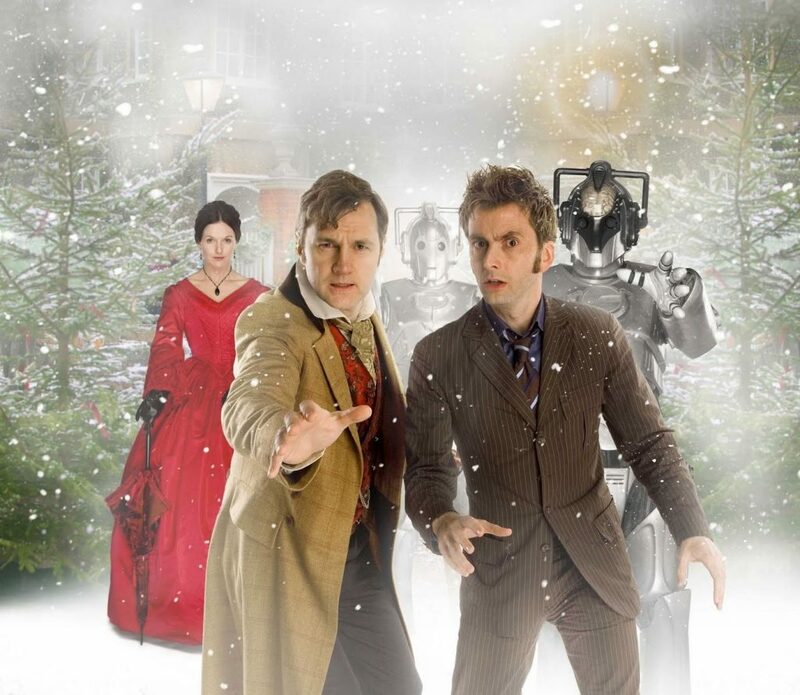 Because this is the only two-part Christmas special, with Part One screening on Christmas Day 2009 and Part Two on New Year’s Day 2010. However, a very similar number of people tuned into both parts: 12.04 million for the first, and 12.27 million for the second. For the purpose of this list, we’re only including Part One. Even if we were to add in Part Two, however, and go by their combined average, the figure would only increase to 12.15 million, meaning The End of Time would jump one place higher than its current ranking. Nonetheless, 12.04 million is a huge number; compare it to the 8.28 million for Capaldi’s regeneration story, and the latter is dwarfed. (That’s unfair to Twice Upon A Time, though, as viewing habits have changed considerably in the intervening years.) We can’t underestimate the importance of The End of Time either – as with The Time of the Doctor, it’s an end of an era, as showrunner, Russell T. Davies also moved on from Doctor Who with Tennant. Part One’s overnights (10 million, comprising of an enormous 42.2% audience share) made it the third most-watched show of the day, rising to 11.57 million for final UK ratings; however, it becomes the most-watched show of Christmas Day 2009 when adding in the BBC HD figures (which is only right), with 12.04 million. The End of Time is a giant in Doctor Who history. As with Peter Capaldi, Matt Smith’s first Christmas special is also his most-watched. In fact, it’s arguably the highest-rated of the Eleventh Doctor era – at least, his highest-rated regular episode. 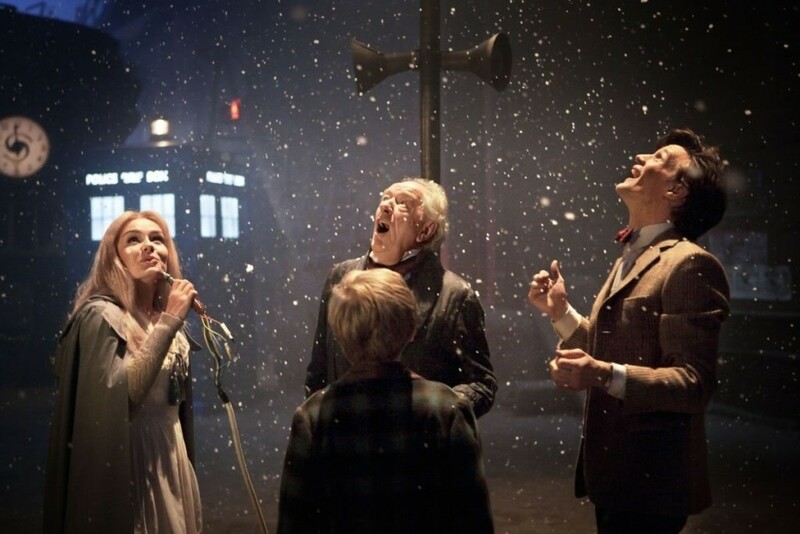 The Day of the Doctor was seen by 12.8 million, officially, so A Christmas Carol bests it in that regard. 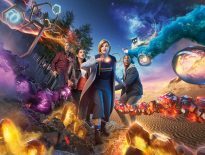 But the 50th anniversary special was also simulcast worldwide, viewed on iPlayer 2.9 million times in the 10 days following transmission, and was screened at cinemas, so its actual reach is much harder to gauge. 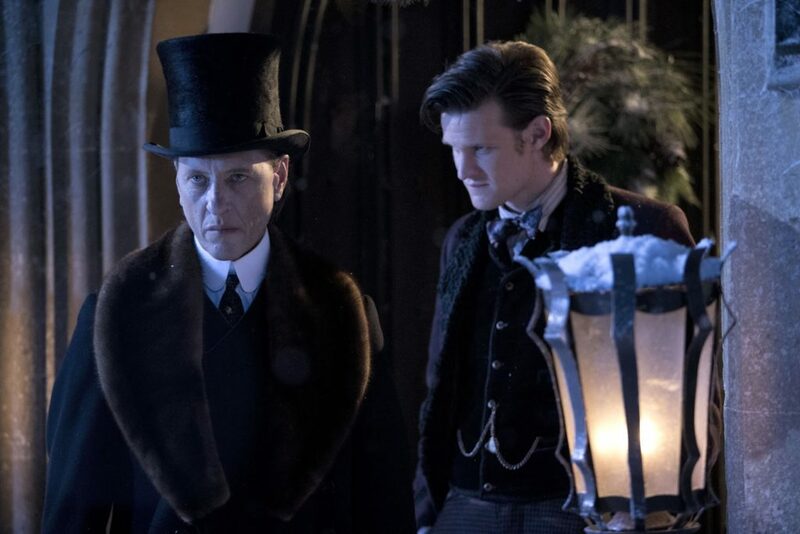 A Christmas Carol‘s overnights (10.3 million) placed it as the second most-watched programme on Christmas Day 2010 (joint with Come Fly With Me), but its consolidated 12.11 million rating confirmed it as the third highest-rated episode across all UK television for that week. It’s a huge step-up from the 6.7 million who saw The Big Bang, while A Christmas Carol‘s “Coming Soon” trailer might’ve helped the Series 6 opener, The Impossible Astronaut achieve its 8.86 million rating. Russell “the T”, you tease. After it was announced that David Tennant would be leaving his role as the Tenth Doctor, 13.1 million people switched on to find out the face of The Next Doctor. Of course, it was a bluff, and David Morrissey wasn’t the Eleventh Doctor. It worked though, making this festive episode the second most-watched of the 2005- present show. Overnights were considerable: 11.71 million, rising to a peak of 12.58 million. 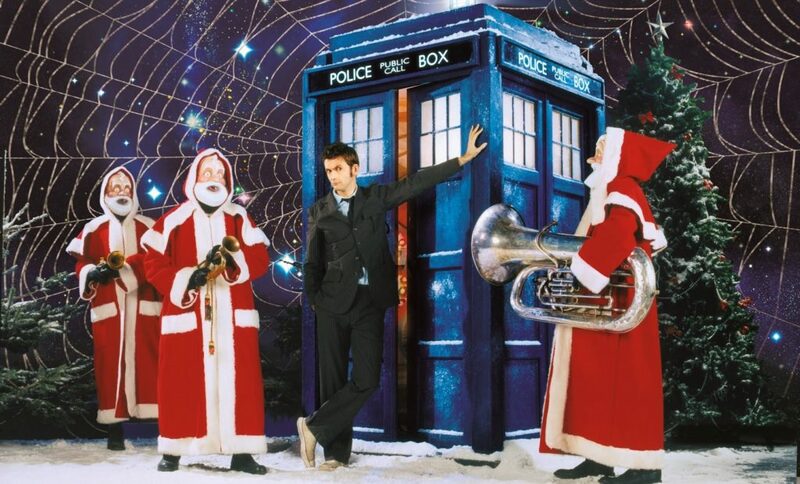 Its main rival was Wallace and Gromit: A Matter of Loaf and Death, which made Doctor Who the second highest-rated programme of Christmas Day 2008. The really notable thing about The Next Doctor is its 50.5% audience share, which is insane. Interestingly, this episode was upscaled to a more superior definition and broadcast on BBC HD on 30th December 2008. The series started to be filmed in HD with the next serial, Planet of the Dead. The actual confirmation of the Eleventh Doctor’s identity came on 3rd January 2009 in a special edition of Doctor Who Confidential. Overnights for Confidential confirmed it reached a peak audience of 6.9 million, although Matt Smith’s appointment was, as with other Doctors, widely reported by the media. And here we are: the most watched Doctor Who Christmas special, and actually, the highest-rated episode of Doctor Who since City of Death in 1979. Overnight figures suggested 12.2 million viewers switched on, but this rose to 13.31 million for its final figure, reaching a peak of 13.8 million people. Voyage of the Damned is also the second most-watched episode of British TV in the whole of 2007, just behind the instalment of EastEnders which came immediately before Doctor Who. The increased interest in EastEnders inevitably helped Voyage of the Damned, as did the star appeal of Kylie Minogue, here playing Astrid Peth. For the story to hold the interest of over 13 million viewers over its 72-minute runtime is surely one of the series’ finest achievements. Voyage of the Damned had a positive effect on the subsequent Series 4 too: 9.14 million saw Partners in Crime, rising to 10.57 million for the finale, Journey’s End. In fact, Doctor Who attracted over 10 million viewers for every episode bar one (Planet of the Dead, with 9.75 million) between Journey’s End and The Eleventh Hour (10.09 million). That was Voyage of the Damned – a titanic effort which really paid off! But that’s not the whole story. Doctor Who‘s life is immense, even beyond initial transmission. Look at the thousands of DVD and Blu-ray sales, all those who have caught episodes on catch-up and other channels. And what about streaming? Netflix doesn’t reveal its audience ratings, but as these festive serials are on the streaming service for the foreseeable future, the stories will be watched again and again and again. It’s been said many times, many ways… The world of Doctor Who is bigger on the inside. Merry Christmas, and a Happy New Year!